Making a move can be a stressful time for you. The numerous tasks that must be completed and getting it all done within a certain amount of time can be a real challenge. At All Around Moving & Storage we know this for a fact because we’ve been in the moving business since 1984. We take pride in the fact that we’ve help single people, families and business owners relocate with ease. We proudly serve the Romulus, MI area and we love getting to our customers because these folks have made our business what it is today. If you’re relocating to Romulus, you may want to know what to expect when you get there the first time. This is a suburban city that’s located in Wayne County. The city boasts a population of 23,989 according to the 2010 U.S Census Report. Additionally, the median age in the city was reported to be 36.2 at the time this census was completed. You’ll have numerous things to do while residing in Romulus. There is a variety of shopping mall, restaurants and movie theaters you can visit for entertainment. One popular option when it comes to spending a day shopping is by visiting The Southland Center. If you want to engage in some of the community activities, you should consider paying a visit to the Romulus Athletic Center. This can help you get to know people and enjoy a number of various sports being played here. The next time you need to move, don’t tackle this monstrous task on your own. 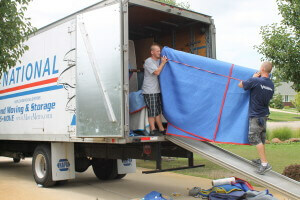 Be sure to rely on the professionals at All Around Moving & Storage to assist you in your move to Romulus. Give us a call today at 734-941-2280 to set up your next moving date!